When I was in college I obtained my scuba diving certification on a whim. I always wanted to learn how to dive, but the actual decision to get my certification was completely spontaneous. I found that I was immediately hooked on this adventurous (and surprisingly easy to learn) sport, and have been actively recruiting friends and family to join me in diving ever since. 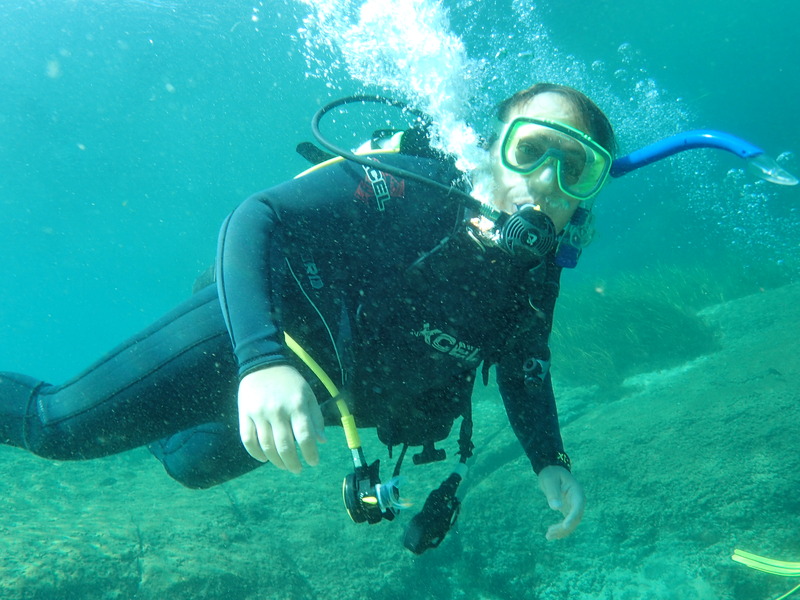 Recently, my girlfriend Candace decided to take the plunge – literally – and get her certification. In order to do so, she had to complete her open water dives. To make a long story short, her trip planning brilliance led us to plan a long, adventurous weekend in Florida that would both allow her to complete her certification and to visit Walt Disney World, because Casual Runners can never have too many Casual Adventures! Candace located a local dive shop, Jim’s Dive Shop in St. Petersburg, Florida to help her complete her checkout dives (she did her class and pool work in Ohio). The shop was perfect for our needs. The owner, Theresa Hattaway, helped us plan everything and could not have been friendlier or more accommodating to us. The best part was that Theresa insisted that I come along for the second day of diving in Rainbow River. Rainbow River is located in western central Florida, within an easy drive of Orlando, Tampa, and St. Petersburg. It is a natural spring-fed river with crystal clear water (excellent visibility), interesting aquatic life, and a gentle yet noticeable current. 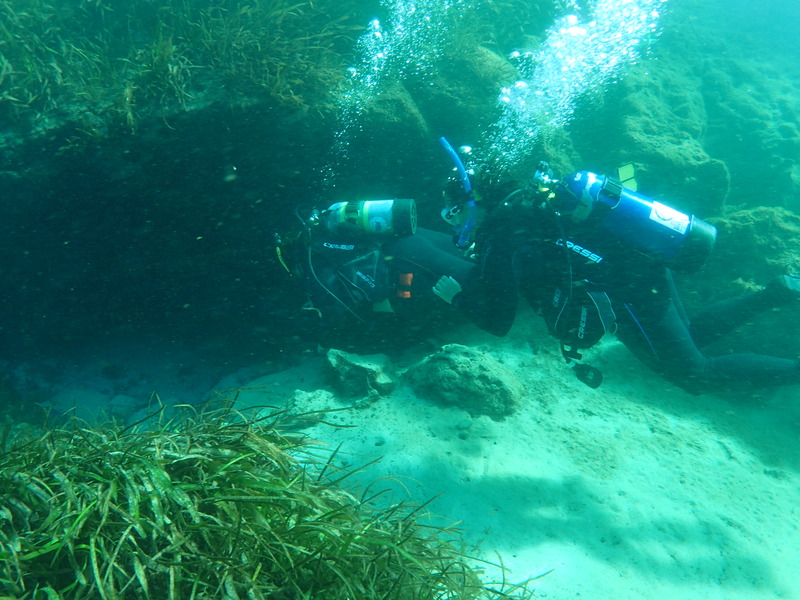 This all adds up to a tremendous dive opportunity for SCUBA divers of all experience levels. We parked at the local park (as opposed to the state one further up river), donned our wetsuits and gear, and made the short walk to the docks where a boat service was ready to take us up river. This was one of the simplest dive entry experiences I have encountered. Full disclosure, Jake, Jennifer, and I dove this river a few years ago as a part of a dive weekend, but we did so as a night dive (trust me, we have some great stories from that adventure!). So this would be the first time that I dove Rainbow River in the daytime. The pontoon boat ferried us upriver, we inflated our BCDs, and took one giant stride into the water to begin our adventure. The best part about this dive (and there are many), is that there is an instant payoff. 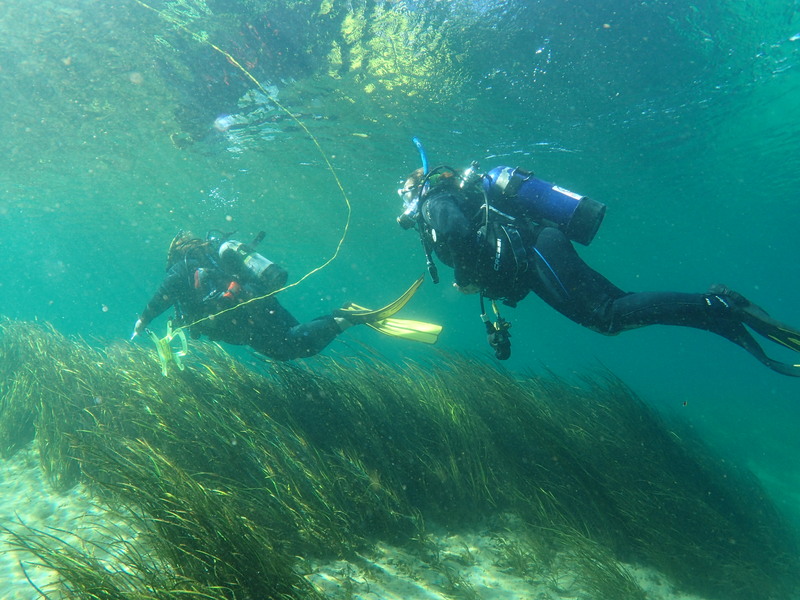 As soon as you dive below the water line there is an abundance of plant and animal life to entertain and amaze you. We made our way downstream, allowing the current to gently carry us along as we explored the varying landscape features of the river bottom. Remember how I said that this river is spread from natural, warm water springs? Well, you can actually see where the water enters the river through various vents and churning sand areas that resemble scenes out of a science fiction movie. It all makes for an entertaining dive experience. This is a popular dive destination as we encountered at least a dozen other scuba divers during our adventure, but there was plenty of space for us all to spread out and not interfere with one another. There was a snorkeler who decided that he HAD to dive down into a vent hole while Theresa was checking it out, but, even underwater, you will occasionally encounter some impatient idiots. 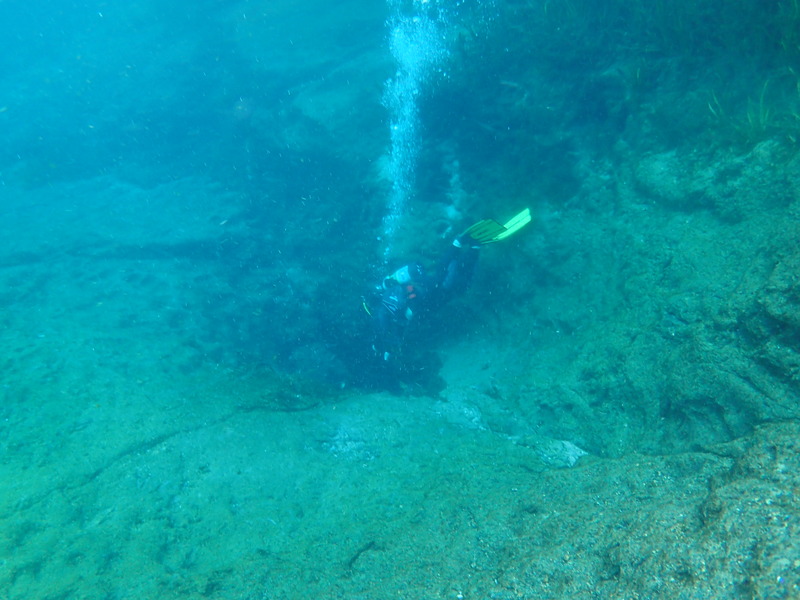 The river never gets particularly deep, so it really does cater to divers of all skill levels, including beginners. The shallow depths ensure you an abundance of natural light and maximum bottom time on your air supply. Because of this, while Candace needed two dives to complete her certification, we did not need to change tanks when we performed our surface interval. We did however pose for some cute pics, like the one at the top of this page. I would definitely recommend Rainbow River as a dive destination. 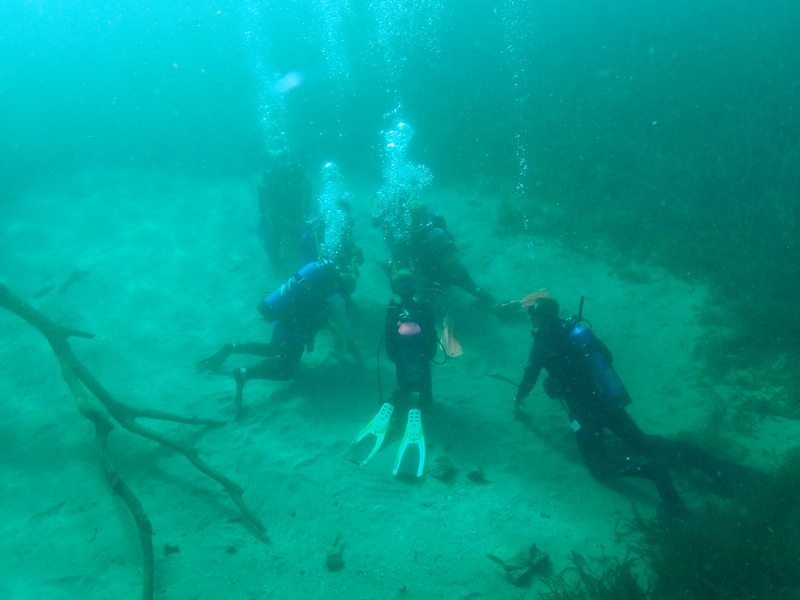 It is close to other great dive sites such as Devil’s Den and Blue Grotto, and to Crystal River, which affords great opportunities to snorkel with manatees in the wild (hmmm, perhaps the subject of future Casual Adventurer features?). I would definitely recommend Jim’s Dive Shop for future SCUBA diving adventures. However, while it is located close to where we were staying on this trip, it is a 2 hour drive from Rainbow River. 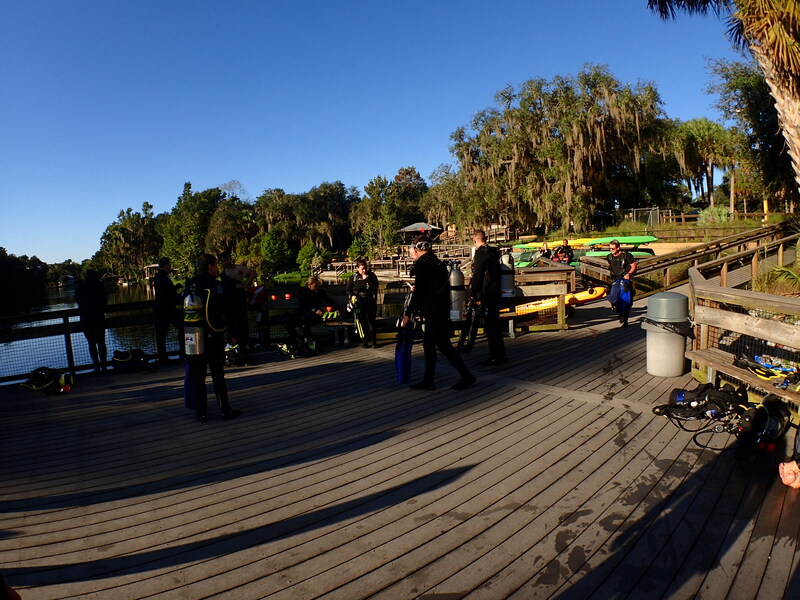 As such, if Rainbow River is you preferred dive destination, make sure take travel time into consideration. I would also be remiss if I did not congratulate Candace, the newest SCUBA diver, who opened up a whole new world of adventure for herself, both above the water and under the sea!